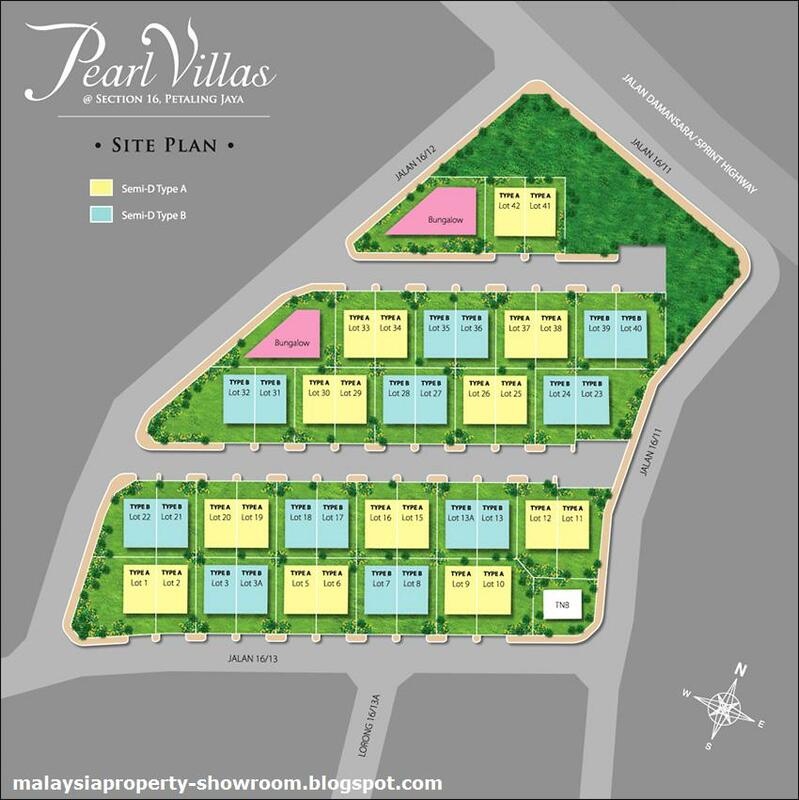 Pearl Villas @ Section 16 a freehold project comprises 42 three-storey semi-detached houses and two bungalows with large built-up, set in a low-density residential area of Petaling Jaya. There are two types of designed. 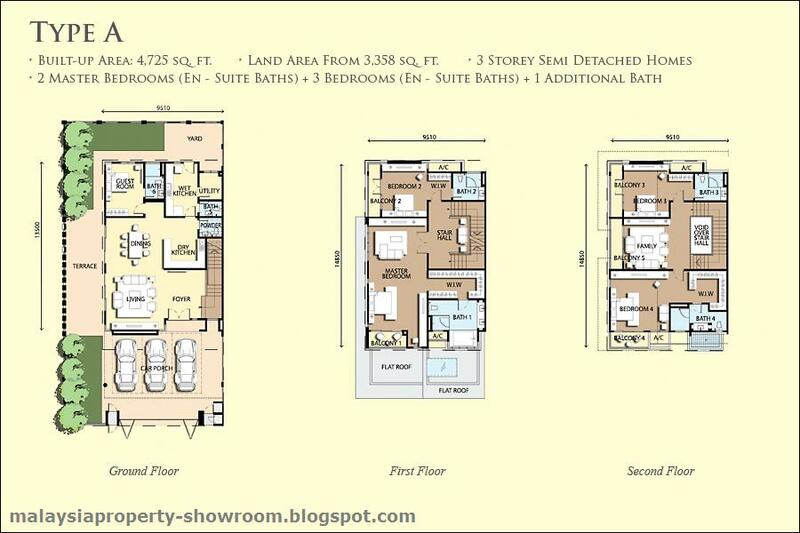 Both types have a land area measuring from 3,358 sq.ft. 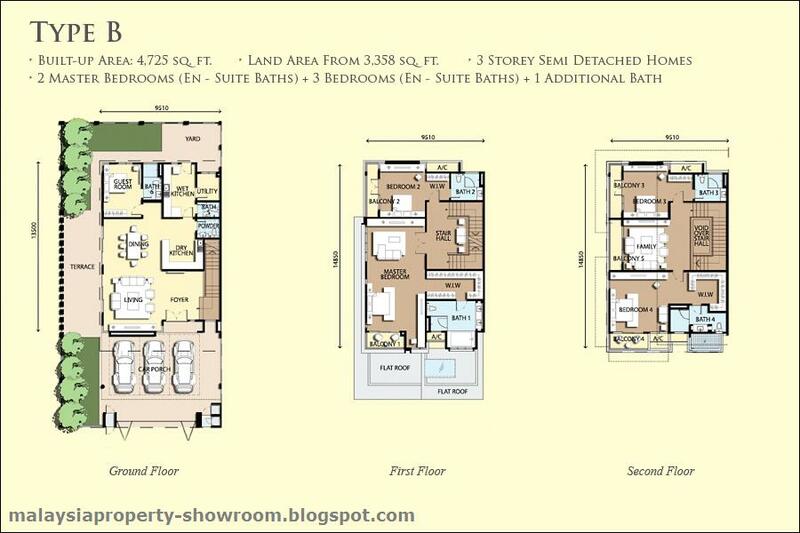 and with built-up area of 4,725 sq.ft. 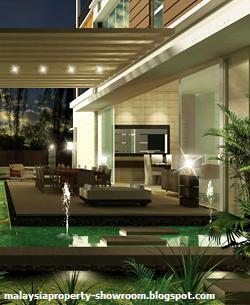 Surrounded by the tranquility of lush greenery and landscapes, these homes offer the ultimate breathing ground. 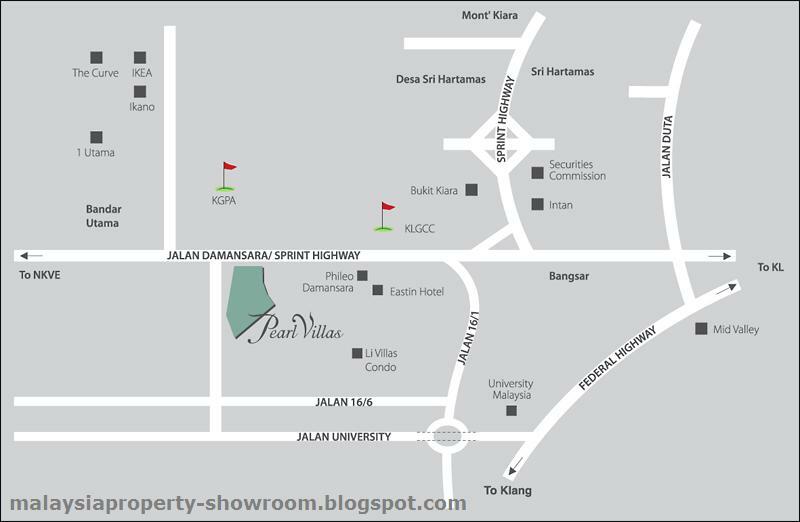 Pearl Villas is easily accessible from Kuala Lumpur City Centre via the upgraded Jalan Damansara (SPRINT Highway). SPRINT Highway provides linkages to the Lebuhraya Damansara-Puchong (LDP), Penchala Link & North Klang Valley Expressway (NKVE). Nearby amenities include educational institutions such as HELP Institute, KDU and KBU, recreational facilities such as Kelab Golf Perkhidmatan Awam and Kuala Lumpur Golf & Country Club, vibrant retail centres such as 1 Utama, The Curve, IKEA and Medical Centres such as Damansara Specialist Centre and University Hospital. Built-up Area : 4,725 sq.ft. 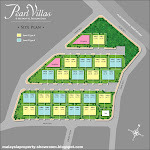 Land Area : 3,358 - 7,018 sq.ft.